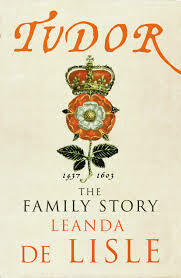 Book review: ‘Tudor: The Family Story’ by Leanda de Lisle. ‘First, I should declare an interest. I like Henry VIII. I’m one of the curators at Hampton Court Palace, and whenever he’s prominent in popular culture, it’s good for business. However ridiculous and camp his performance might have been, Jonathan Rhys Meyers in ‘The Tudors’ has coaxed many a visitor to Hampton Court Palace. Over the last five years, though, I’ve seen Henry pushed off his throne. Where he once reigned supreme in the realm of the popular and public history of the Renaissance period, the definition of ‘Tudor’ has now broadened. It used to be just Henry, ‘Bloody’ Mary and clever Elizabeth. But now, due to the discovery of a certain king in a car park, and the fifteenth-century dramas brought to life by Philippa Gregory in The White Queen, the dynasty is rightly seen to stretch from Henry VII to James I. How timely, then, is Leanda de Lisle’s re-framing of the story. Half of this book covers extremely familiar ground. But the other half of it travels over much less-tilled territory, and places the familiar in a new context. Margaret Beaufort (mother of Henry VII), Henry VII himself, Margaret Douglas, and Mary Queen of Scots are given equal airtime with the heavy hitters. De Lisle addresses head-on the argument that the Tudors never saw themselves as a dynasty, and her point is valid: for us to consider them in this way enriches our understanding of each of them. But this is outweighed by shafts of illuminating insight: that the deaths of the Princes in the Tower were denied lest a dangerous cult be established on the basis of their remains; Henry VIII is usefully paralleled with his grandfather, the bloated, sensual, and power-crazed Edward IV, and Katherine of Aragon is painted as capable and indomitable as her mother, the fierce Isabella of Spain. It’s sobering to learn that the crushing of the 1549 rebellion against Edward VI killed the same proportion of England’s population as the entire military casualties of World War II. ‘Tudor: The Family Story’, Chatto & Windus, costs £20, and you can get your copy by clicking here. Have downloaded the book and look forward to reading it. Thanks Lucy. I’m not a history buff, but I reckon any author would be delighted by such a lively and even-handed review. I guess it’s always difficult to avoid the occasional colloquialism even in a serious work, innit? And who could resist a gentle swipe at Starkey. He’s never been shy of dishing it out whatever the context. Dear Lucy, Thank you for this scintillating review: if you rate a book then it’s a must! Can I also wish you a wonderful, happy Xmas and a New Year filled with good health, great happiness and good fortune. Thank you for all the pleasure and knowledge you have given us.